The standard SelectShift® automatic has two modes of operation — Progressive Range Select or Full Manual. In Progressive Range Select, you can limit the range of gears while in Drive to lock out overdrive for consistent speed over hilly terrain. Tap down into Range Select mode and the display shows the available gears and highlights the one that’s in use. This feature lets you limit the use of upper gears when the vehicle is heavily loaded or towing on grades. In Full Manual mode, you can go all the way up and down the gearbox to put you fully in control. The display will show the selected gear and the control system will lock the torque converter and hold that gear for a full manual transmission feel. Available continuously controlled damping takes Lincoln luxury driving to another level. An advanced suite of sensors continuously monitor the suspension. The sensors also detect body motion, steering and braking dynamics in milliseconds, faster than you can blink. Select the operating mode — Comfort, Normal or Sport — that suits the driving experience you prefer, from exceptional ride quality to a spirited, sporty feel. The Lincoln Navigator is one of the very few full-size SUVs engineered with an independent multilink rear suspension (IRS) system that enables each wheel to negotiate bumps and jolts on its own terms, providing enhanced ride quality and control. If you stop while climbing a steep hill, the standard hill start assist feature automatically holds the brake on an incline to help prevent backward roll when switching your foot from the brake to the gas. This is especially helpful when towing big loads. 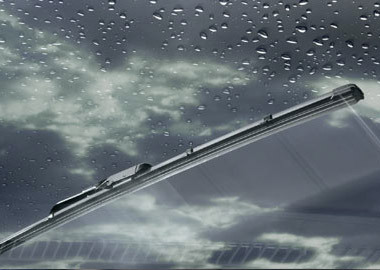 When it starts to rain or snow, the standard rain-sensing wipers automatically turn on and can be set to one of five levels of sensitivity. So smart, you’ll wonder how you ever got along without it. The five moisture sensitivity settings accommodate light rain or a downpour. The Lincoln Navigator offers an array of standard luxuries that you’ll find impressive. 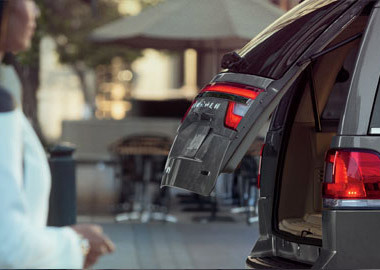 With the standard power liftgate, a touch of the button on your key fob or inside the passenger cabin opens or closes the liftgate, allowing you to easily load up groceries, luggage or anything else. If you need quick access, the manual flip-up glass window lets you place items into the cargo area or retrieve them from it without having to open the liftgate. Enjoy the feel of Brown Walnut Swirl and Prussian Burl genuine wood inlays in the luxuriously appointed Navigator cabin. And there’s Ziricote wood in the Reserve Package that beautifully complements the warm leather. No two Ziricote wood interiors are alike – the wood is undyed and reflects its unique, natural color. There’s no compromising on luxury in a Lincoln Navigator. That’s why heated and cooled front seats come standard, each with three heating settings and three cooling settings for year-round comfort. Once parked, the updated Navigator awaits your return with an enhanced puddle light. Open the door and the Lincoln Welcome Mat illuminates the ground as warm cabin lighting welcomes you in. The 2016 Navigator features Intelligent Access with push-button start. With the key fob in your pocket, purse or briefcase, just open the driver’s door. Once inside, press the brake pedal and then the start button, shift into gear and you’re ready to go. A rear view camera is just one of the many impressive standard features you’ll find on Lincoln Navigator. Activated when you shift into reverse, it can show you certain objects that are behind your vehicle. It can also be a helpful assistant when you’re connecting a trailer. A video image is displayed on the navigation screen, with red, yellow and green guidelines providing an easy reference for how far an object is behind you as it moves from one color to the next. LATCH consists of a top tether anchor point and two rigid bars where the seat cushion meets the seat back, and helps facilitate proper installation of up to three child-safety seats in the second row.